A pleasure to ride, a sophisticated solution, with the power to help you get from A to B without exhausting yourself, the G3 is a first class solution. But at £1K more than the GS, some will be happy paying less for premium economy and forego some of the higher-end features. Gocycle was ahead of the electric bike curve when it launched the G1 nearly a decade ago. Most rivals were unwieldy Frankenstein bikes, with exposed batteries and heavy frames - many still are - while Gocycle leant on design. 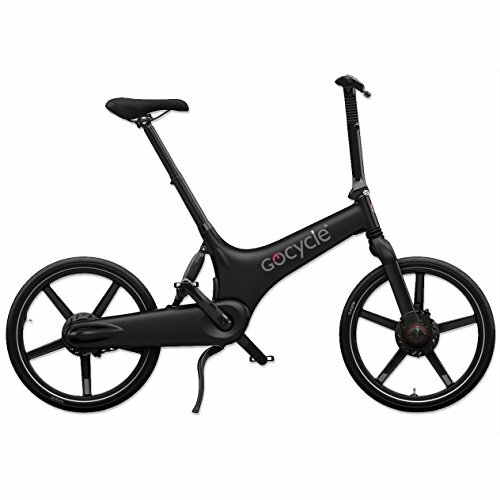 In that sense not a huge amount has changed visually, but Gocycle has now gone through a number of iterations, offers a number of different models, and has continued to push its fantastic futuristic design in the G3, its top model. There's no avoiding that this is an expensive bike; but then those who ride bikes know that spending big on one isn't an uncommon thing. It's probably the same price as a London season ticket and could well be a lot better for you. With a monocoque design, there's a seamless finish to the Gocycle. Things like internally routed cables and bespoke solutions make this bike far from the sort of thing you'd cobble together yourself. That's always been the case with Gocycle: an approach that finds solutions rather than pulling components off the shelf. The CleanDrive is a good example of this in practise. This encases everything so the chain isn't exposed like it is on a conventional bike. That's a real bonus for commuters because there's no risk of catching your hem, no chance of getting a chain print on your leg and nothing to clean after a wet ride. It also means storage is cleaner too, so if you're wheeling you G3 into the hallway when you get home, the cat isn't going to rub against it and get all oily. The same applies to Gocycle's Pitstop wheels. These use three catches to lock the wheel to the hub, meaning fast and clean removal. The tyres are rather more conventional, so you'll still have to get out the tyre levers should you have to change a tyre, but on the whole, it's design that shines through. The battery is integrated into the frame - meaning you have to plug the bike in to charge it - so there's no leaving the bike in the shed while you charge the battery in the house. That's the price you pay for a cleaner solution. You can pull off the wheels, release the rear suspension coupling and fold down the handlebars and saddle for more compact storage, but that's not really something you'll want to do every day. If that's what you want, then the Gocycle GX is what you're after, offering a faster folding experience that might appeal to commuters a little more. The design also doesn't make for the easiest security, which is a bit of a problem for the £3K bike you want to park in public. You can't loop a chain through through the frame or wheels, so you'll need to make sure you know where you're storing your Gocycle. The Gocycle G3's design makes for an upright riding position, great for riding in traffic and general commuting. The 20-inch wheels - small compared to the average of around 27-inch on a regular bike - make for a slightly twitchy, but responsive, ride. Paired with fairly narrow handlebars, it suits the character of a city bike. I found it perfectly comfortable on a longer 50km ride, while it's perfectly suited to those short rides around the local area. But this being an electric bike, it's really all about that power. It works with a pedal assist implementation (or pedal torque sensing as Gocycle calls it), the motor swinging in to help you as you pedal. There's no button to press or grip to twist or anything else, so you're riding it like a normal bike. The battery is good for about 80km (50 miles), but the range is going to depend on how you ride it and the level of assistance you want. Not only is the range on the G3 better than it is on the GS or GX models, but charging is faster too, taking four hours to fully refuel, compared to seven on the other models. The Gocycle G3 has three gears and these are automatic, including a shift down function that will automatically put you in a lower gear so that pulling away from the lights is easy. As a cycle commuter of 10 years, riding in and out of London, I found this refreshing, because it's so easy to cope with the sort of stop-start riding that's often the case for commuters. This is another area that differs from the other Gocycle models which are both manual shifters. You can still manually shift gears if you want on the G3, with a twist of the handlebar ring. The ride is smooth and easy, the motor taking the strain to make sure you never really break a sweat. It's limited to 25kph (15.5mph) and this is legally regulated, country by country, so once you get up to higher speeds, the motor won't just keep powering you on and on. The gearing also doesn't let you comfortably take things much higher either. This isn't a bike where you have a wide range of gears to push at high speeds. That also means that once you hit a long downhill, you won't be accelerating to 50kph in top gear, you'll basically just be letting gravity do the work given the overall weight of the bike. This isn't a sports bike and it doesn't ride like one. I took the Gocycle G3 around Richmond Park - a local favourite with cyclists - and while Broomfield Hill still took some effort, maintaining a respectable average on the climb saw me passing plenty of roadies. Every single one then passed me on the descent and that's as adroit an analogy as you'll get for the Gocycle G3: while it will help you cruise up hill, it won't help you speed down them. The handlebars have a number of secrets. First of all they have LEDs in the rear to give you a sense of your battery life, as well as to tell you what's happening, like which gear you're in. This provides information at a glance, but it takes some time to figure out what you're looking at, as there's not indication of what's what. Using a smartphone connection, however, you can use your phone like a speedo, with dials and other information. You'll be able to track your speed and ride distance, but also a lot more information, like your power output, what the balance is between pedal power and assistance from the motor, as well as being able to change the settings. Because the bike is fully connected, you'll be able to change the ride profile, so you can adapt the point at which the power swings in. If you want to do more of the work then you can, if you'd like to do less then you can change the profile so you have more assistance. The final bonus that the Gocycle G3 offers is an integrated LED light. This runs across the front of the handlebars and can be set to a number of different modes, including flashing. Gocycle offers a range of accessories designed to perfectly fit the bike too. If you're a serious commuter then the Gocycle has a lot to offer thanks to a design that delivers advantages when it comes to daily use and maintenance, including trouser-friendly CleanDrive. The Gocycle is a pleasure to ride, a sophisticated solution, with the power to help you get from A to B without exhausting yourself. The automatic gears bring convenience, while the integrated front light will help drivers see that you're there. Faster charging and longer range round-out the differences to Gocycle's other models (the GS and GX). There's no avoiding the fact that such extra features do cost a fair whack - the Gocycle GS is £1,000 less than the G3, for example. So while the Gocycle G3 is riding first class, some may be more than happy with premium economy. Brompton has seen huge success with its folding bikes, a firm favourite with commuters, and in the Brompton Electric you have the benefit of powered assistance. Like the Gocycle it is twitchy and responsive, great fun to ride, but comes with the advantage of folding - even if you will have to then carry the battery pack around with you.